Canteen has a 1 QT capacity and is issued by the U.S. ARMY. Made of hardened plastic with a screw on top and made to last a lifetime. 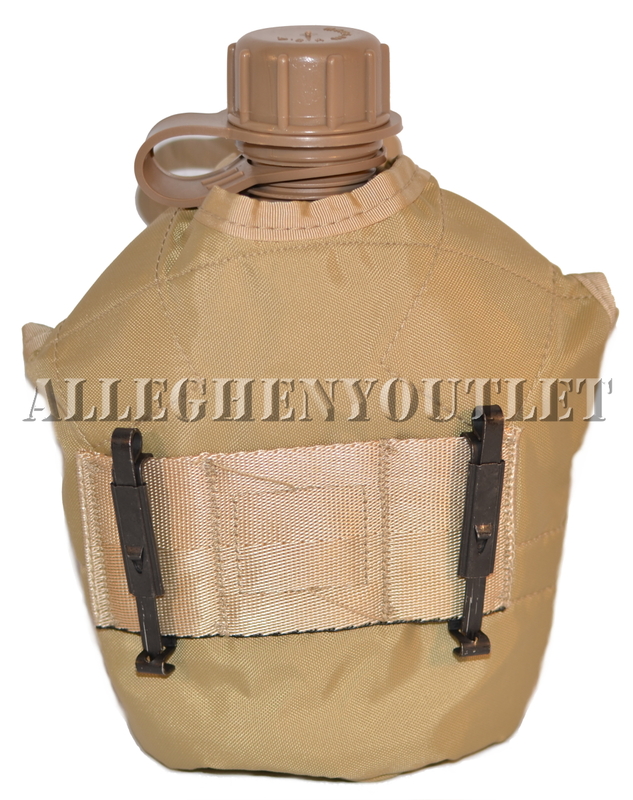 This canteen can be worn on a Load Carrying Pistol Belt (NOT INCLUDED) or any Belt with the 2 metal attaching Alice Clips on the back of the case. Canteen Cup is designed to fit on the 1 QT Military Issue Canteen, this Canteen Cup is military spec. Great for hikers and campers who need to pack light but need multiple purpose gear. This Stainless Steel Canteen Cup slides over the Bottom of your Canteen and Nestles Inside your Canteen Cover, allowing you to Carry a Convenient Cook Pot without taking any additional space in your kit. Ideal for a hot cop of coffee or tea on a brisk morning or a cup of hot chocolate or warm soup on a cold afternoon in the field. The folding butterfly handles are designed to be used over an open fire, the included stove, or a backpacking stove. Made of aluminium and military spec, this canteen stand will slide under the canteen cup and when not in use the canteen, stand stove, and cup nest together inside of the canteen cover. Every Canteen set you have should have one. 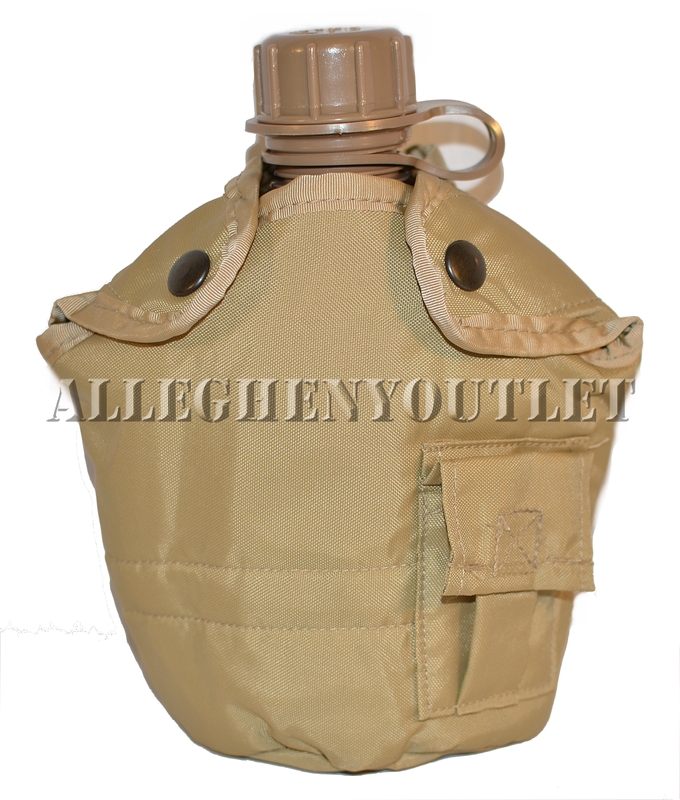 1 Quart Canteen Cover will Hold a One Quart Canteen and Metal Cup. Attaches to web belts, packs or a regular belt with Alice Clips or can also be fitted with a MOLLE adapter and attach to the MOLLE Gear. (Sold in our Store). The Nylon Case is Insulated and has 2 Brass Snap closures to resist corrosion and a small front pocket with Velcro closure to store water purification tablets or P-38 can opener. Canteen cover can be worn on the Load Carrying Pistol Belt or any Belt with the 2 INCLUDED Metal attaching Alice Clips on the back of the case.